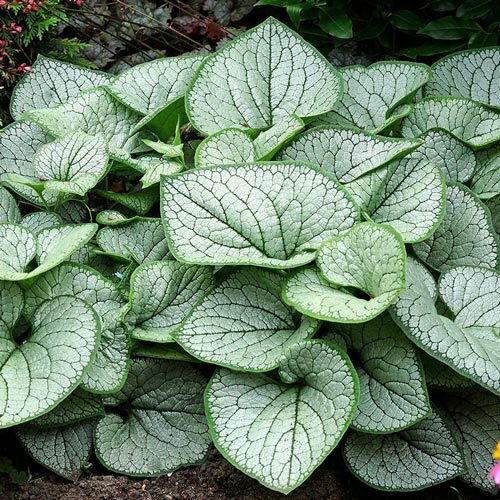 Perfect for creating a new shade garden or adding to an existing one, this collection includes 18 perennials that'll light up your shaded areas with their colorful blooms or foliage from spring to fall. 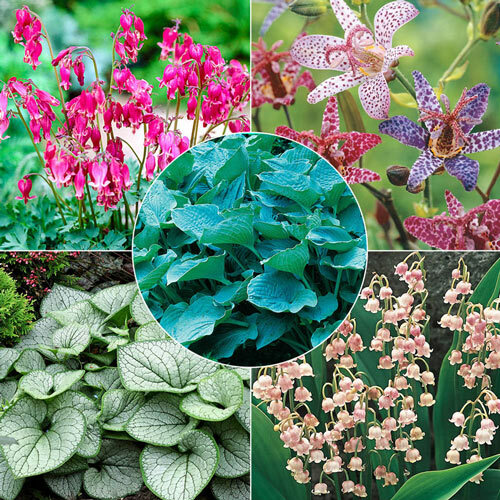 For fantastic bloom color, we've included 3 Burning Hearts Dicentra (red and white flowers in mid spring and summer), 3 Silver Blue Toad Lilies (late season flowers spotted in dark blue-purple hues) and 6 Pink Lily-of-the-Valley (rose-pink flowers in the fall). Providing colorful foliage are 3 Silver Heart Siberian Bugloss (silver and green leaves on a low-growing plant) and 3 Hosta Elegans (up to 10" blue-gray leaves). 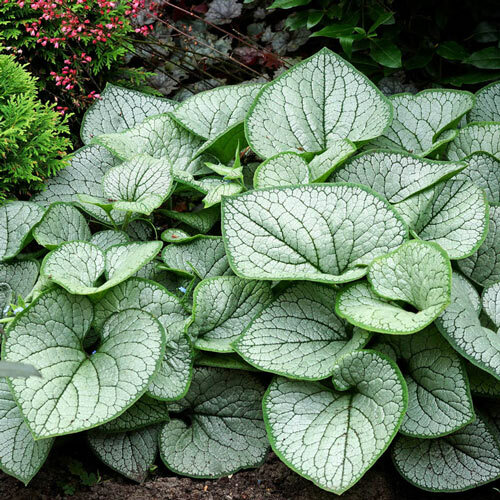 All the perennials in this collection are easy to grow and perfect for shaded to partially shaded areas. 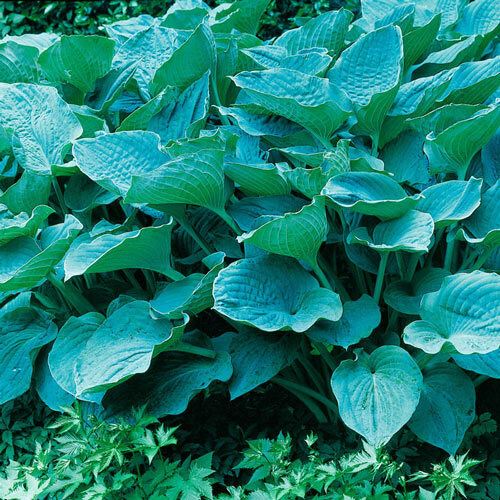 Additional InformationPlanting: Convallaria-2" deep. Dicentra and Hosta-in hole large enough to accommodate roots with crown at soil line. 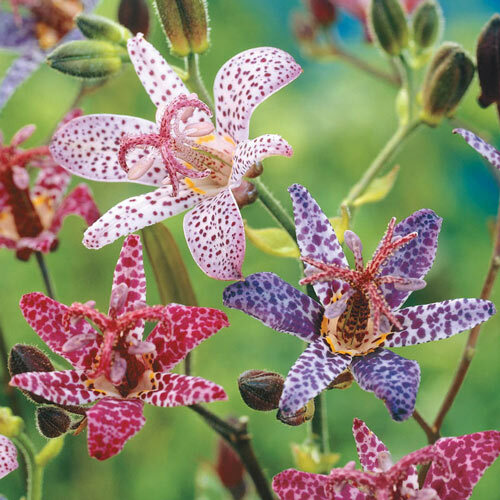 Tricyrtis and Brunner 6-8" deep with crown at soil line. All in well-drained soil.